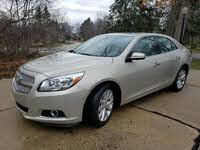 CarGurus has 2,714 nationwide Regal listings starting at $2,450. As hybrid and electric cars continue to make inroads into the mainstream, change is afoot for the good ol’ combustible engine. For 2013, the Buick has made the Regal's eAssist standard for the base trim. This innovation may be thought of as “hybrid-lite,” as it uses a much smaller battery and generator in place of an alternator to give the car’s mileage a boost. The good news is this results in an EPA estimate of 25 mpg city/36 hwy, a marked improvement over last year’s 19/31. The bad news is the new savings in gas may be eaten away by the car's price increase. 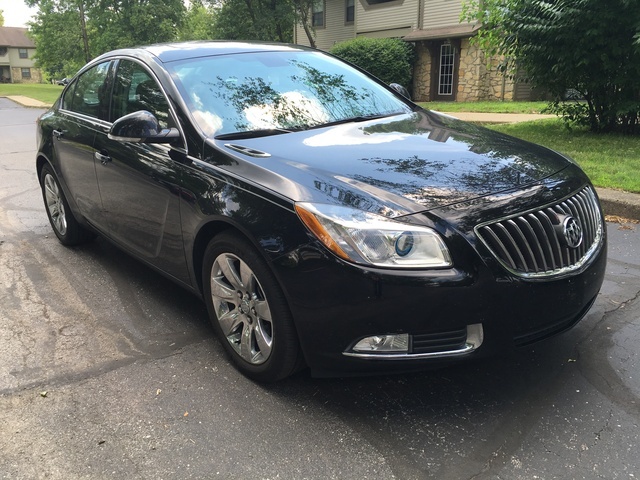 For this midsize sedan, there are five levels of trim, dubbed Equipment Groups in Buick-speak. In the Regal Base you have the 2.4-liter 4-cylinder engine making a perfectly peppy 182 hp and 172 lb-ft of torque, coupled with the aforementioned eAssist (a 15-hp motor and lithium-ion battery). Also included are leather seating, ambient lighting, a 7-inch touchscreen with Intellilink and 17-inch wheels. The Premium 1 adds keyless entry, push-button start and 12-way power seats; you can opt for 18-inch wheels. The Premium 2 includes rear-seat thorax airbags, HID headlights and a 336-watt Harman Kardon sound system. A 6-speed automatic transmission and front-wheel drive are standard across the board. The Premium groups also offer a Turbo option: a turbocharged 2.0-liter DOHC 4-cylinder powerplant making 220 hp and 260 lb-ft of torque. The turbo also comes standard with front-wheel drive, but can be mated to a 6-speed automatic or a 6-speed manual for more excitement. The Turbo Premium 3 adds 19-inch wheels and Interactive Drive Control System. Finally, there is the GS, which is basically the Turbo Premium 3 on steroids—the engine has been tweaked to pump out 270 hp and 295 lb-ft of torque, along with sportier, GS-themed styling. Sunroofs are available for all groups. Huzzah! Inside, the front leather seats are surprisingly roomy and built for comfort, not sport. In the rear, however, headroom is a problem, but legroom is sufficient. On the road, the ride is reported to be especially quiet, and the car handles well both turning and braking. Some may find the 2.4 a tad underpowered for some passing tasks, but the turbo cures that ailment. Although an estimated 97% of new-car buyers purchase gas-powered vehicles, many automakers including Buick are taking tips from the hybrid, improving mileage and reducing emissions on many models. Everyone wins. 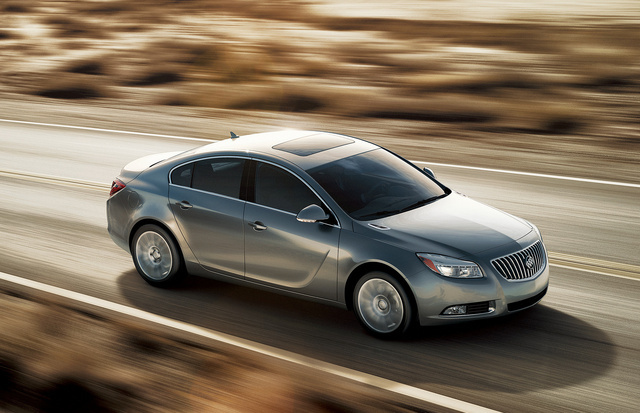 What's your take on the 2013 Buick Regal? 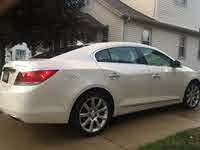 Have you driven a 2013 Buick Regal? Where is the ac high/low sensors located? Is it common for the transmission to slip when extremely cold -15F below ? After the car warms up it's fine. This has only happened twice and was -10 to -17F below. Is it possible to install a hood scoop on a new GS without it looking tacky? Has anyone tried?